The Lung Disease Foundation is offering Freedom From Smoking Classes, a program specifically designed for adults, like you, who want to quit smoking. 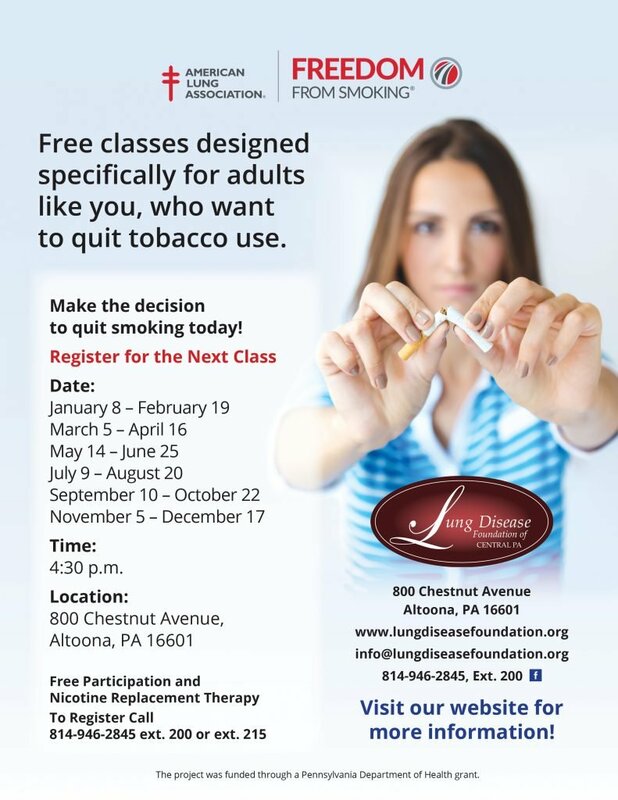 Classes are free of charge and will be held at the Lung Disease Center, 800 Chestnut Avenue, Altoona, PA.
Congratulations on making the commitment to quit smoking! Interested participants can register by calling 814-946-2845 x 200.